Retire Happy Blog-"Big Brother (Canada Revenue Agency) is Watching"
Thanks to Jim Yih of the Retire Happy Blog for publishing my guest blog “Big Brother (Canada Revenue Agency) is Watching” on how George Orwell would even be shocked at how much information the world's taxation authorities are requesting from us. Jim is a well known professional financial speaker, best selling author, syndicated columnist and financial expert. However, what has drawn me to his blogs is that he offers sound practical advice. His comments and suggestions can be translated into the everyday lives of his readers. Creditor Proofing Corporate Funds and Do You Eat to Live or Live to Eat? 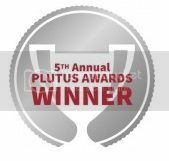 Most owner-managers of private corporations are concerned about creditors potentially gaining access to their corporation’s cash and investments through real or frivolous lawsuits. The simplest method to protect surplus corporate funds is through the use of a holding company. The Income Tax Act permits an owner-manager to transfer the shares of their operating company (“Opco”) to a new holding company (“Holdco”) without incurring any tax. Following this type of transfer, the owner-manager would own the shares of Holdco, which, in turn, would own the shares of Opco. With that type of ownership structure in place, Opco and Holdco would be what is known as connected corporations. When corporations are connected, they can typically pay their retained earnings (excess cash and other assets net of liabilities) of the corporation , as a dividend from Opco to Holdco on a tax-free basis. This has the effect of removing excess cash and other assets from Opco so that it would no longer be susceptible to future creditors’ claims. This can be repeated in the future as Opco accumulates additional retained earnings. If Opco requires ongoing cash and working capital, the funds received by Holdco could be loaned back to Opco on a secured basis provided a General Security Agreement (“GSA”) is registered by a lawyer. It is important to note the dividend first paid by Opco must be physically paid by way of a cash or other asset transfer and then physically loaned back to Opco by Holdco to ensure that the GSA is valid. Opco’s banker should always be advised in advance that Opco is undertaking a creditor proofing transaction. Where a bank loan or other debt is present, the GSA will secure the loan but Holdco generally would still rank behind the bank or other secured creditors as far as payment is concerned. The structure noted above is simple and effective. However, where the owner-manager or other family members have access to the $750,000 capital gains exemption and may potentially sell shares of the company in the future, this type of creditor proofing transaction may not be appropriate and some variation may be required. Depending upon your family and personal financial situation, it may be possible to creditor proof Opco, maintain potential access to the capital gains exemption and provide a means to income split with family members in one fell swoop by utilizing a “freeze” transaction. This “freeze” transaction will be discussed in my blog in two weeks. I love good restaurants, but I also love burger shacks, Middle Eastern shawarma and falafel restaurants and sausages from street vendors. I list among my favorite things to eat steaks, corned beef and hot dogs in the meat area, shrimp, crab, sushi and lobster in the fish area, fries and potato chips in the fried area and ice cream and crème brulee in the dessert arena. The above is a who’s who of the worst foods to eat cholesterol-wise (some say shellfish are not that bad for cholesterol) so in retrospect, I guess I shouldn’t have been surprised when my latest medical revealed my cholesterol had gone up. Poor food choices in conjunction with a lack of exercise due to a couple of back to back hockey injuries, finally took its toll. My wife, a very healthy eater promptly brought me into the fold and suddenly things I never heard of, or conceived of eating, like bran buds, flax seed and quiona, replaced donuts and fries. I now realize how much I am a live-to-eat person. On the positive side, I have discovered that I actually like some foods that I would not normally look at, but in general my current diet is by no means a culinary delight. Hopefully I can get my cholesterol down and I can go back to a more balanced diet while eating smarter, but boy do I miss my bad foods. A common question I receive from my clients is “How long do I have to keep my income tax records?” For anyone actually interested, the CRA (“Canada Revenue Agency “) created guide RC4409 called “Keeping Records” that details everything you want to know about your record keeping and more. This guide is most applicable to individuals that carry on a business and corporations. Now I know you are waiting with bated breath for the answer, but you will have to humour me while I provide some background details. Firstly, CRA recognizes records were traditionally kept in paper format and that today many kinds of electronic records are kept by computer systems. CRA says electronic records may be stored on a computer, network, CD, DVD, tape or cartridge. Notwithstanding the format of the records, supporting documents are required. The supporting documents can be kept in any of the above formats. Finally, you are required to keep your source documents which include sales invoices, purchase receipts, contracts, bank deposit slips and cancelled cheques. They also include cash register receipts, credit card receipts and purchase orders amongst others to name a few. Okay, now that I have kept you in suspense, here is he answer. The CRA says “As a general rule, you must keep all of the records and supporting documents that are required to determine your tax obligations and entitlements for a period of six years from the end of the last tax year to which they relate. The six-year retention period under the Income Tax Act begins at the end of the tax year to which the records relate.” Thus, in many cases you are actually keeping your records almost seven years. The fact that you must maintain your records for at least six years does not mean you will be audited for 6 years at a time. Typically you are barred from being reassessed by CRA three years from the mailing date of your Notice of Assessment assuming there is no tax evasion and loss years are not still open. A word of caution, ensure you keep your source documents, they are a key to satisfying many an auditor. "Canadians who file their income tax and benefit returns electronically, or who do not file information slips and receipts with their paper-filed returns, should keep their tax records on hand in case they are contacted by the Canada Revenue Agency (CRA). After returns are filed, the CRA verifies the income reported, as well as the credits and deductions claimed. For the 2008 tax year, about 2.4 million individual returns were reviewed. Some of the first reviews of deductions and credits are done when the returns are filed, and before taxpayers receive their notices of assessment. However, most reviews take place later in the year, as the CRA works to verify the information on an individual's return and compares it with the information provided by other parties, such as employers, spouses, or common-law partners. registered retirement savings plan contributions. In addition, the CRA may ask you to support your claim by providing proof of payment in the form of cancelled cheques, bank statements, or other documentation. Keeping your records on hand makes it easier to respond to these requests. It will also help you explain your tax and benefit situation to the CRA if you do not agree with your assessment or reassessment." In the last few weeks, many people have opined on my blogs, One Big Happy Family-Until We Discuss the Will and Intergenerational Communication Gap. They have stated that they think it is a great idea to discuss the will and to open family communications about money in some circumstances. However, I have been told that one thing I failed to consider was the interference factor by the “out-laws” or in-laws to some. I have been told that even where a family can have a civil meeting, the in-laws can then interfere by getting involved with their child and then ultimately the son or daughter of the parents that held the meeting become involved at the urging of their spouse via the in-laws and the whole thing unravels. Interesting observation. The recent press controversy surrounding the income tax hit related to Registered Retirement Income Funds (“RRIF”) seems to keep oozing issues. This week the Financial Post talked about severing your residency ties with Canada so that the income tax bite would be a one time only 25% withholding tax on your RRIF, as opposed to a 46% hit on each withdrawal (assuming you are a high rate taxpayer). At the mid-market accounting firm where I am a tax partner, the majority of our corporate clients have substantial net worth and have the wherewithal and income tax incentive to leave Canada should they wish. Over the years we have had multiple discussions with people who are unhappy about their income tax bills and whom out of frustration ask about becoming non-residents. The same issue arises when we have discussions about Retirement Compensation Arrangements (“RCA”). Under a RCA, you essentially pay income tax at 46% upfront, but if you become a non-resident you only pay a 25% withholding tax, resulting in a net refund of 21%. Out of all the discussions we have had about the non-residency issue, I cannot recall one client who has decided to leave the country so that they would only pay 25% on their RRIF or RCA. The reality in my opinion, which may be off base, is most Canadians value their family, health plan and lifestyle more then the do the almighty dollar, and the income tax tail does not wag the lifestyle dog. When I was at Price Waterhouse and the net worth of many clients was extremely high, I did see some clients take up residency offshore for income tax reasons, and we have all read articles about those individuals over the years. To each his own, but those people remind me of athletes that have it all in their current city with adulation and comfort, and yet they bolt to another city for $14,000,000 a year instead of $11,000,000. When is enough, enough? But I guess that is a philosophical blog for another day. I have been at many a cocktail party where some smart alec regales me with his/her story about their shoe box of records and how they torment their accountant every year. I usually shut them down by asking what kind of shoe box they have. They usually look at me quizzically and then I explain that unless they have a Berluti shoe box if they are male, or a Christian Louboutin shoebox if they are female, they probably cannot afford for me to prepare their tax returns. 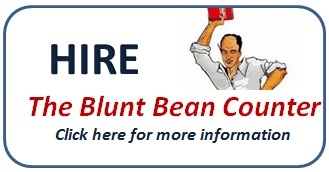 Now you are probably wondering if I really say that, I can’t tell you, but I am The Blunt Bean Counter. Anyway, in all seriousness, I have been amazed over the years by how many people actually find it amusing that they torment their accountants by bringing in a shoe box at the last moment. I will not knowingly take on shoebox clients since I am doing a disservice to them and myself. If you are one of those dreaded shoe box clients, I can only tell you that you are hurting yourself. The more disorganized you are, the better chance you have missed or misplaced you tax receipts/tax deductions, and the last thing accountants running around like chickens with their heads cut off in April want is a bunch of receipts to sort and add up. I would suggest your accountant, instead of using their energy to help you tax plan for future years based on your current return, will use their energy sorting receipts and have little or no energy left for the more important planning element. Remember, if the shoe fits, wear it (check out the origin of this expression).